Microsurfacing is a corrective treatment for older, worn asphalt surfaces with a major benefit of filling ruts and other minor irregularities. With excellent micro and macro textures, microsurfacing restores the frictional properties of your road, even on polished concrete. With three different sizes of aggregate, which are extremely hard and polish-resistant, ACP provides microsurfacing for roads of varying traffic flows and weights. 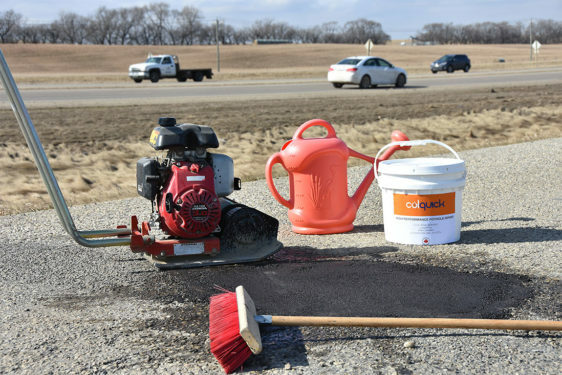 Microsurfacing can be applied on chip seals, hot mix asphalts or concrete pavement. Unlike gravel and chip seals, microsurfacing leaves the finished surface with the deep black texturing of a pristine, freshly-laid road.